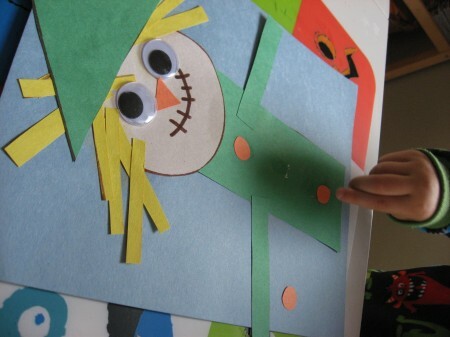 I had a reader ask if we had a scarecrow craft. I didn’t, but I came up with this shape scarecrow! There are a lot of steps but my almost three years old breezed through it. We talked about the shapes and each body part as we added them. You will notice that my shapes are way less than perfect, but if they are clearly recognizable, you are golden. Time is short for anyone caring for young kids, don’t fret over your shapes being perfect! Gather your materials. 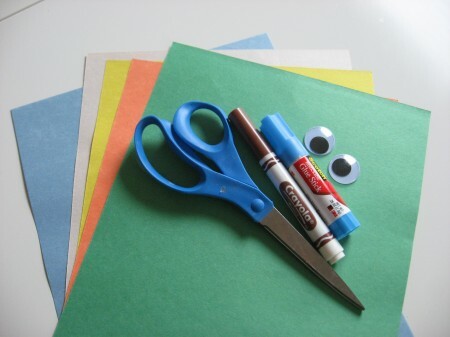 You will need five different color pieces of construction paper ( you can use scrap if you want for all but one) we used orange, green, yellow, neutral and light blue, two large googly eyes, a marker, scissors and a glue stick. 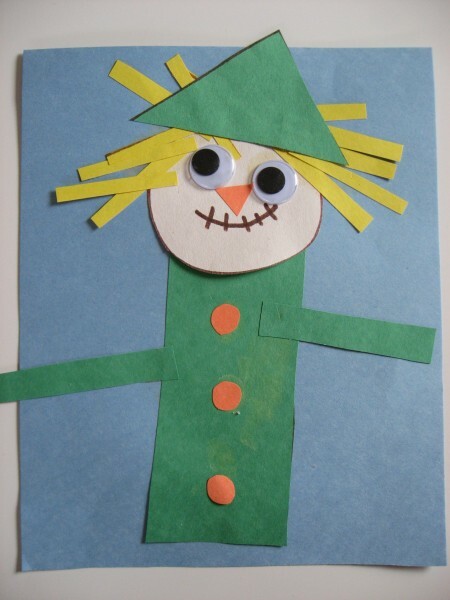 Start by drawing a scarecrow head and mouth. Cut out. 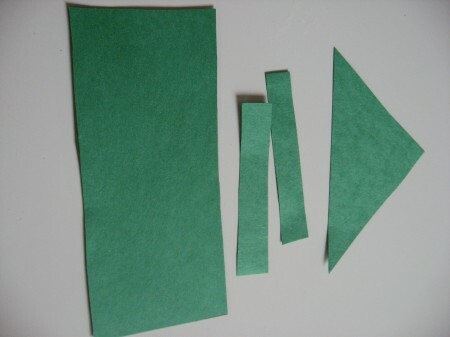 Next cut out ( or have your child cut out) a triangle hat and rectangle shirt and arms from the green paper. 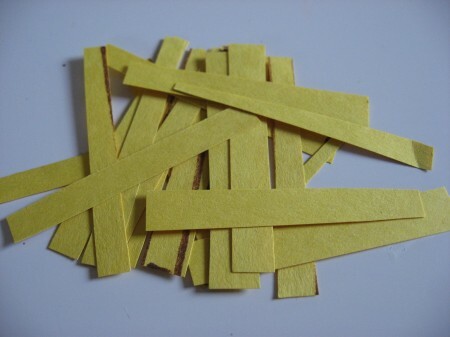 Cut out many smaller rectangles from the yellow paper for hair. 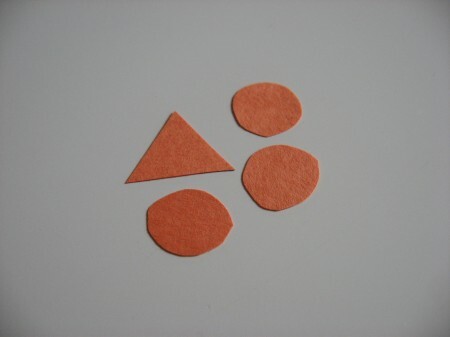 Cut out an orange triangle for the nose and three orange circles for the buttons. Start gluing. Now you can just let them at it, but to me, this isn’t a creative project at all. It’s too structured for that. To me, this is a shape lesson, really. Here is what I do. 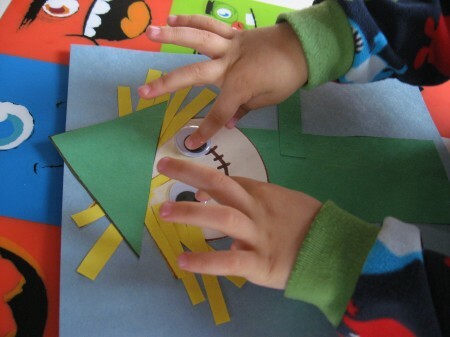 Show your child the shapes and ask them what they look like. I helped up the large rectangle and asked my son if he thought this was the scarecrow’s head, ” no it’s his belly!” Glue it on. Don’t forget to ask what each shape is or label the shape for them. Next, add the head. I suggested this was an arm. My son set me straight! Don’t forget to have fun! 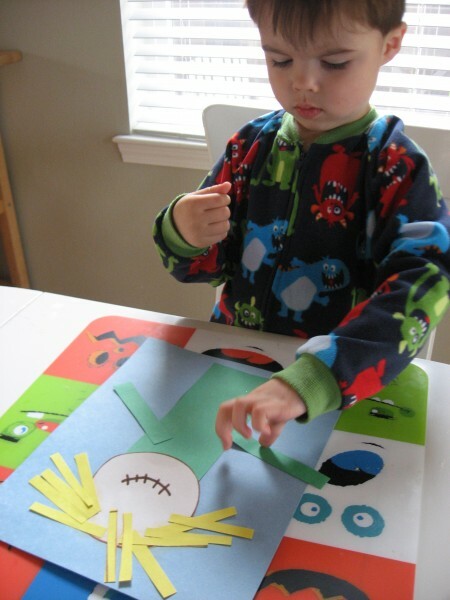 Keep labeling and adding the shapes as you build your scarecrow craft. Here, he is adding the hair. If you are doing this with young toddlers, don’t forget to label the colors as well! Add your hat! Then, add the eyes and nose. 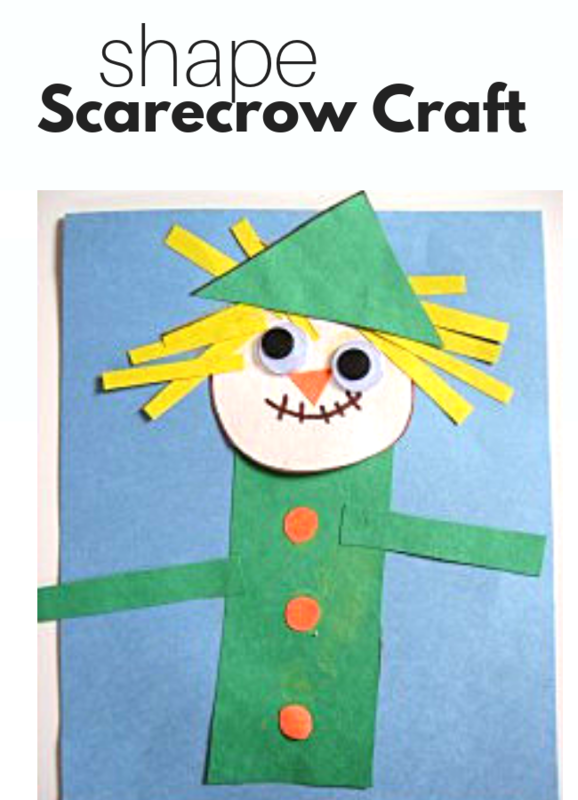 Let your scarecrow craft dry! 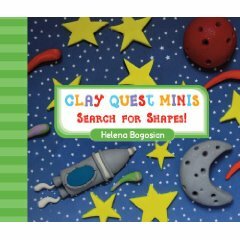 Clay Quest Minis: Search for Shapes! 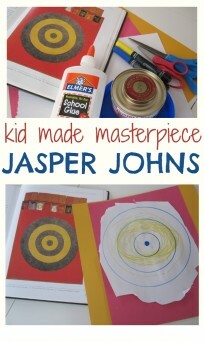 by Helen Bogosian is a big hit with my son and me! I was lucky enough to have this book sent to me by the publisher. It came in handy on a ferry and waiting for a seat at a restaurant, keeping my son happy and busy searching for shapes. 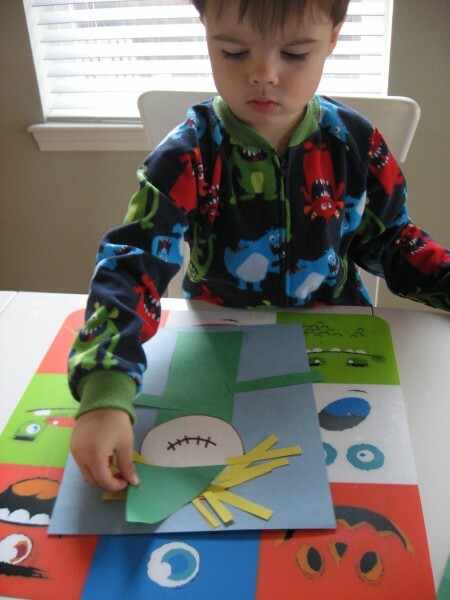 This book is an activity book that has a simple rhyme and request for the reader to find 2 shapes on every page. The shapes are hidden in the adorable clay “illustrations”, really they are photographs of clay sculptures that range in theme from a spider web to dinosaurs to princess crowns and more. 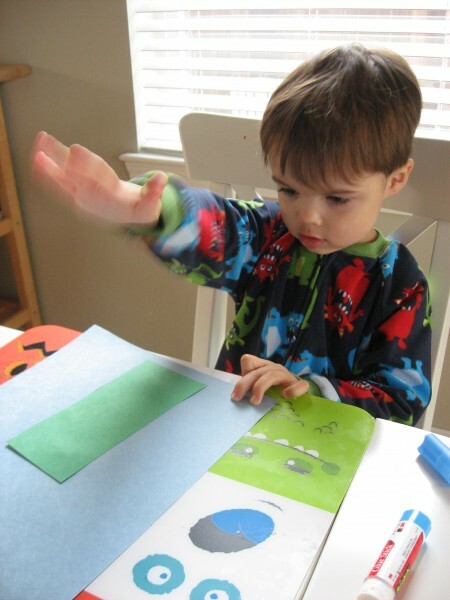 My son loves playing ” Detective” and what I like is that the challenge is just right for his age group 2-3-year-olds. 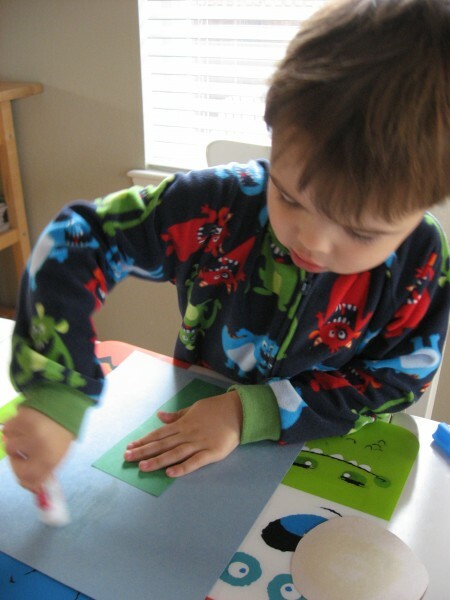 Younger toddlers will still enjoy it, and it’s vibrant colors but to do it independently this is a perfect age. I try to find negatives with books that are sent to me by publishers for review, but this one really is simply great. 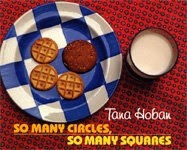 So Many Circles, So Many Squares by Tana Hoban is a picture book that is all about shapes in our environment. There is page after page of pictures of daily life, food, signs etc…with the simple question of finding the shapes in the photos. It”™s a great book to use as a launch pad into a shape hunt in your own home or around town and worth a few looks because you will be surprised at the shapes you missed the first time. 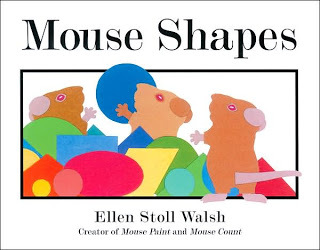 Mouse Shapes by Ellen Stoll Walsh is a cute book that not only helps teach shapes it is also entertaining! The three crafty mice use the shapes to protect themselves from one hungry cat finally using them to make scary mice to frighten the cat away! 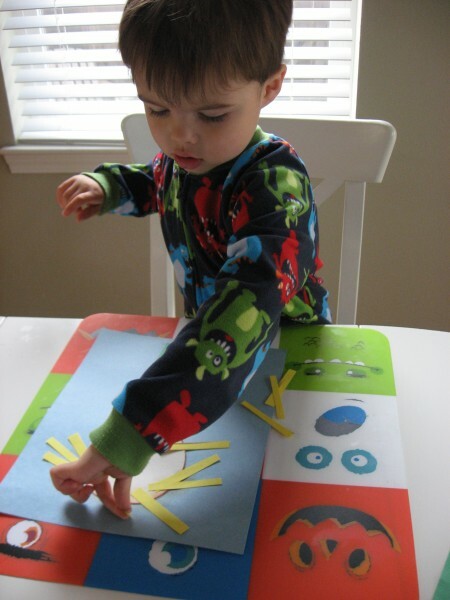 Kids love to help find the shapes in the illustrations, and older ones anticipate what the mice will make next! Previous Post: Letter Of The Week f ! Darling! And…I used to have BUCKETS of crafts I created/discovered when I was director of our Parents’ Morning Out at my church…had I been blogging THEN I’d still have copies of everything! 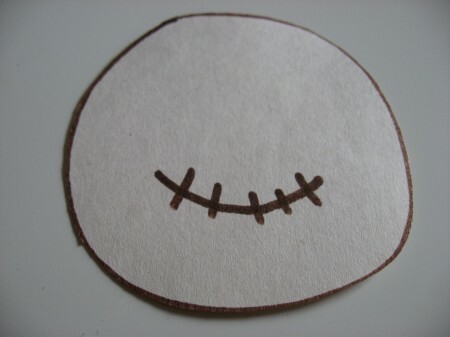 .-= Robin ~ PENSIEVE´s last blog ..Dead faith? =-. Oh Robin I know- I wish I had written down all the crafts I did in my years and years of teaching daycamps every summer I wouldn’t have to brainstorm half as much. Thankfully I remember the last few years pretty well ! .-= Beverly´s last blog ..Birthday Fun =-. Very cute! This would be a good activity to review body part and shape vocabulary in Spanish. .-= Adriana´s last blog ..CamiÃ³n de Bomberos =-. Oh, I love this scarecrow. We’ll have to try this one at home too! Oh and be sure to check out the book, “Shape by Shape” by Suse MacDonald. It’s my new favorite shape book and my 2 1/2 year old LOVES it! Yes -the librarian at children’s story time read that a few weeks ago! That is a wonderful book, I will have to get it from the library for a proper review, thanks for reminding me. This is my first visit to your blog and I’m really enjoying it! .-= Marie´s last blog ..Mostly Wordless Wednesdays =-. I am so glad you found us and like it ! Aren’t these books great? Love the simplicity of them. .-= Janelle @ Brimful Curiosities´s last blog ..Free Cookie and Hot Chocolate at Barnes & Noble =-. I did this one today with my 4-year-old daughter. We added sparkles, of course. 😉 Super cute, thanks! Cute! I plan on adding the scarecrow to my art center.